Spring will be here in just another week which makes me start thinking about getting out in the garden to plant - maybe you are too. Zinnias and sunflowers, violets, cosmos, columbine, coreopsis, geranium, geum, impatiens, hollyhock, yarrow, lantana, nasturtiums, monarda, verbena, sweet alyssum, wild buckwheat, wall flower (Erysimum) and herbs such as sages, rosemary, lavender and chives. 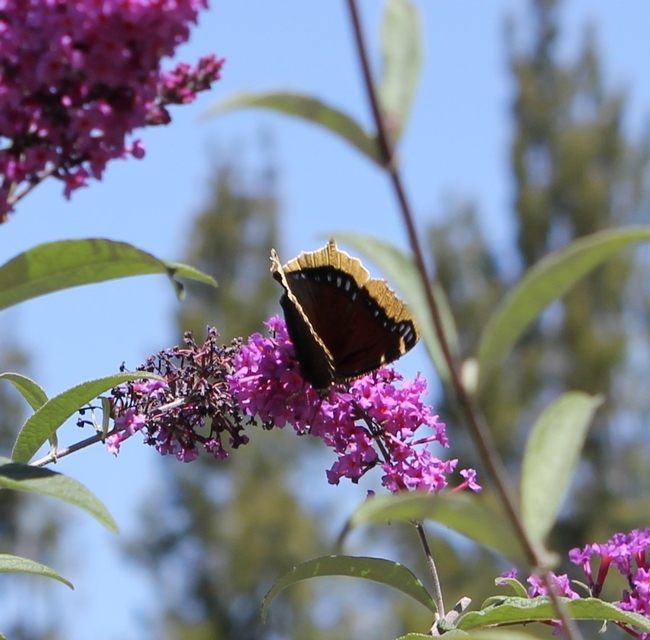 Common shrubs attractive to butterflies include: ceanothus, buddleia, lilac, Manzanita, rhododendron, and members of the rose famly.